What is the best way to store your Bitcoin? Who owns how many Bitcoin is recorded in a globally distributed ledger called the blockchain. Each account has a balance, and each account is associated with the hash of a public key, which functions as an account number. The owner of the account identifies themselves with a private key, which is essentially a long random number. This number must remain private at all times, as anyone in possession of it would be able to spend the Bitcoin. This private key may come in many forms—as a file on a computer, a long number written down, or in the form of words (a so-called seed phrase). To create and store these keys, software is used. This software is known as a Bitcoin Wallet. It is also used to sign messages, make transactions, and handle incoming payments. 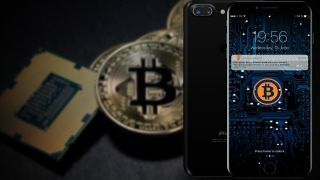 A Bitcoin wallet can be installed on a computer or mobile phone, or it may be on its own device, as in the form of a hardware wallet. In the Bitcoin network, transactions can be broadcasted almost instantaneously. As a transaction is picked up by other computers in the network, these computers are able to verify immediately whether the transaction is valid or not. In the Bitcoin blockchain, miners discovering new Bitcoin bundle transactions together into a block, which they release roughly every ten minutes. Once your transaction has been included in such a block, we say it has “one confirmation.” Once a transaction has a confirmation, it is incredibly difficult to reverse. For most daily transactions or trades, you will be able to assume this transaction as settled. The likelihood of this transaction being reversed is so small, it’s not worth worrying about. In some cases, like when you are selling millions of dollars of gold to somebody you don’t trust, one confirmation is not enough, and you might want to wait for three to six confirmations to be absolutely sure not even somebody with a lot of money to spend is able to reverse your payment. A paperwallet is a piece of paper that holds the backup seed of a wallet, or the private keys themselves. As paper cannot easily be hacked, it is regarded as some of the most secure wallet options. As with any wallet, it is important that you create the private keys yourself, and that nobody else has access to them. In almost all cases, you will need to make a paper wallet yourself. How to make a multi-signature paper wallet? For the extra paranoid, you can not only keep your Bitcoin in a single paper wallet, but also combine multiple paper wallets to further protect yourself from loss and theft. The steps below describe a simplified process to create a two-of-three multisignature wallet. It has three paperwallets, but two of the three wallets are needed to redeem the Bitcoin. If a single wallet is stolen, lost of seized, you will not lose your Bitcoin. Pick three locations for your Bitcoin wallets. Some suggested locations include your home, your safe, a safety deposit box, your lawyer or trusted friend, family homes or work desk. Go to location #1 and create a wallet using Electrum in TAILS. Write (not print) the seed on a piece of paper, and store the master public key on a USB stick. Repeat for location #2 and #3. Start your regular computer and combine the three master public keys into a watch-only multi-signature wallet. You will see the Bitcoin addresses you created and can send funds to them. To redeem the funds, create an outgoing transaction in your regular computer and save it as a raw, unsigned transaction on your USB stick. Go to two of the three locations, create the wallet from your paper backup, and load the unsigned transaction into Electrum. Sign it. As soon as the transaction has two signatures, you can transfer it back to your regular computer and broadcast it to the network. When you deposit money into a bank, you are essentially loaning the money to the bank, and it is no longer yours. The bank becomes your counterparty in a contract. The bank might default for a variety of reasons, and become unable to honor the contract. This risk is your counterparty risk. Usually, you are compensated for this counterparty risk, for example, through interest. Many jurisdictions have legislation that guarantees some deposits with banks, but no such provisions exist for cryptocurrency. When depositing Bitcoin to an exchange, you are taking on counterparty risk in various forms. The exchange could get hacked, or ordered to be shut down by the government. They could also turn out to be insolvent, or simply make your coins unavailable for a period of time. Whenever you are using third-party services, like payment processors or exchanges, be aware of counterparty risk. You can try to minimize that counterparty risk, for example, by selling Bitcoin in small tranches, or by reducing the time you keep your Bitcoin on an exchange to the absolute minimum.